Originally published in 1981, this book is composed of papers that describe and analyse women’s careers in government, business, and the professions. 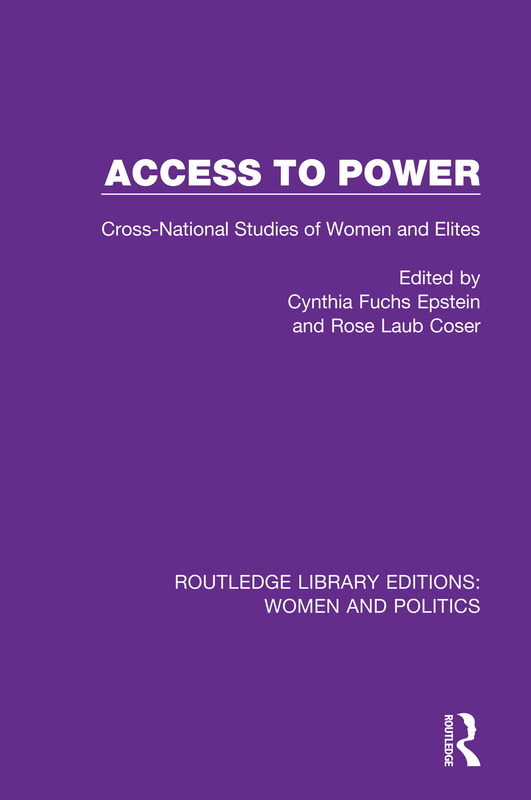 It examines women’s access to and participation in elite careers in the US, and in selected countries of western and eastern Europe – Britain, France, West Germany, Austria, Norway, Finland, Poland, and Yugoslavia – as well as in international organizations. This book was an outgrowth of a conference on ‘Women in decision-making elites in cross-national perspective,’ held at King’s College, Cambridge University, in July 1976. The countries represented were chosen because, although they were at similar stages of economic development, they exhibited differences in political structure, ideology, and tradition.